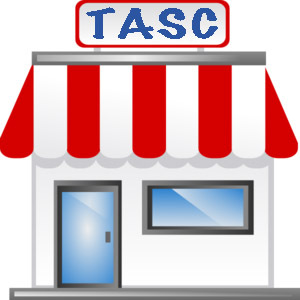 TASC Shopping List » (Please note that postage will need to be added. That will be included in the invoice. If you are ordering the Student Leadership Course and/or seeking TEA approval to teach it for state credit, you will need to complete the form seeking that approval. Click this link to access more information about the course and/or the Academy for Teachers of Leadership. Members must log in to order the course. Non-members will need to create a profile. If you need more information about the state credit leadership course or any of our resources, please contact Terry via email or at 512-443-2100 ext. 8517. You may also purchase student workbooks to accompany the course and/or the Student Leadership Curriculum Supplement, which is highly recommended, from the TASC Store. To purchase the Student Leadership Course Click here. YOU WILL BE REDIRECTED TO THE TEXAS ASSOCIATION OF SECONDARY SCHOOL PRINCIPALS (TASSP) WEBSITE. You may purchase a hard copy of the curriculum (in addition to the CD you receive with the course) or as a replacement item from the TASC store. However, we must first verify that you have received TEA permission to teach the course. Email Melissa for that. You may purchase workbooks to accompany the course from the TASC website. We strongly recommend the Leadership Course Curriculum Supplement which can be purchased from the TASC store.